Peace Love Lacquer: My First Blogger Awards! Liebster & Versatile! Wow, this has been an amazing couple of days!! First I hit 100 followers on Saturday... then I got up to 200 today! Not to mention, I got my first blogger awards!! 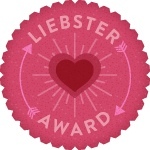 First up, the Liebster! 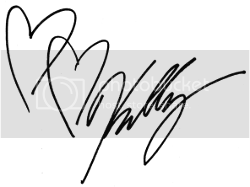 I was nominated by not one, but THREE separate bloggers! All of who are amazing and make the honor even more special!! My lovely nominators are I'm All Polished Off, My Nail Journey and Lace & Lacquers. Now, when I first got the award, I wasn't exactly sure what it stood for lol... but Liebster is a German word with many meanings - darling, beloved, sweetheart, or dearest. AWWW! So amazing!! 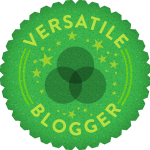 Up next... the Versatile Blogger Award! I have been married to my wonderful hubby and best friend for 3 years. My mom owns a bar... that's pretty fun. I am a Payroll Specialist for a Denny's restaurant franchisee... I am the payroll department for 36 restaurants (and growing)... so I stay pretty busy! Ha! thank you so much!! i am soo humbled!! Wow, thank you so much! Honored! Thank You! :D I am honored! Thank you :D I am very honored! I will be nominating my lovelies when I am home tonight! Thank you so very much :) I'm honored and so happy!! You are awesome, thats why!! !